All the below Horses are home bred and reared at the Heritage Coast Stud. Viewing is by appointment only and prices are non negotiable. She recently won at the NSEA Grass Roots Qualifier with a 13yr old girl who had only ridden her the day before (as her pony had gone lame) and then went on to be in the winning school team at the NSEA GR Regional Champs and was 3rd individually. The next week she was out hunting with a Lady. She recently competed in the Schools team Arena Eventing gaining 4th place. 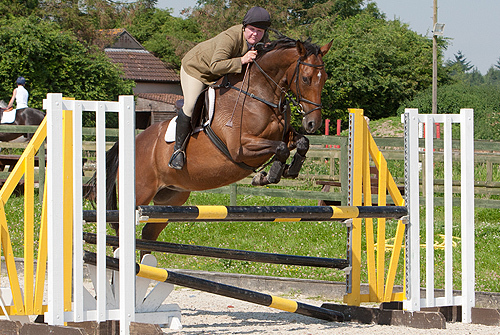 This mare is reliable and ideal for Pony Club/Riding Club teams . Easy to do in every way. A top class Jumping Horse . Out of a lovely moving Carnival Drum mare by Heritage Nero. A chance to buy something really special. This lovely horse has multiple winnings in hand as a sports horse and high score at BEF Futurity Evaluations. 2013 - 2nd at Suffolk County in 6yr old Sports Horse Class, Won BN at Area 8 BS Show. Been winning and regular placings BS indoors and outside. Qualified for BN Regional 2015 and only had a pole in final round. 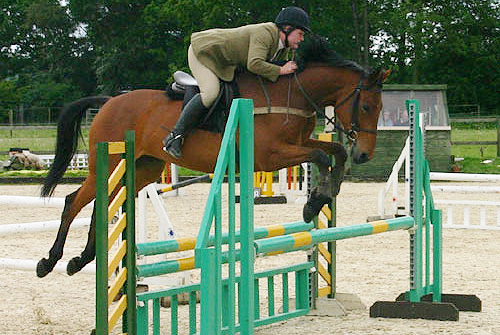 Now jumping Newcomers...He has a very scopey jump and doesn't like to hit a fence. Has been placed Unaff Eventing at BE90 course but loves his jumping. Really ready for consistently bigger tracks now but due to local venues ceasing BS our closest centre is 2hr drive away and he is just not getting out enough to warrant keeping him. Samson is lovely. Recently broken in December 2015, he is going really nicely with a very workman like attitude. He has three good paces and a lovely canter. He is working well on the flat. He will make a super PC/Junior Eventer. Did 3 BE80s as a 4yr old. Showing a lovely easy way of going and good XC style. Clear SJ. This is a lovely big filly. She is very well grown and maturing well. She has good bone and excellent movement. She has a very bold temperament. By Ganton Mentor (Welsh x TB) who is cousin to Ganton Rufus (the Grade A Showjumper), Rubric (advanced Eventer) and TB Stallion Ganton Beltaine out of the beautifully bred mare Heritage Dancing Queen. Heritage Dancing Queen herself competed at Newcomers before being retained to Stud. She showed plenty of scope and was very athletic. She is by the Anglo Arab Stallion Heritage Nero (25% Arab, 75% TB) and out of the Carnival Drum mare, Carnival's Dancing Queen, who is also the dam of the 2yr old BEF Futurity Eventing Highest Score Award winner of 2015, Heritage Arrakis. She is also dam of Heritage Apollo. This filly has all the credentials to become a top Event prospect and will definitely be forward enough to contend 4yr old classes. This is currently a mini VADEER. He is a sharp mover and really covers the ground. Clean limbs with good bone and stands over the ground. Likely to make a top International Endurance Prospect.